We live in a world that is automatically skeptical when it comes to charities. Compound that with further cynicism that in very poor countries, corruption means that aid doesn’t reach those who need it most. If only there was a way of meeting these objections and being able to give with confidence. As it turns out there is. I want to share a bit of the story with you and also explain how it intersected with our son’s story, and some portions of what you read are taken (directly or loosely) from the Welcome Home Children’s Centre (WHCC) website. We got to meet Camille Otum and her husband Sam for the first time a few days ago. 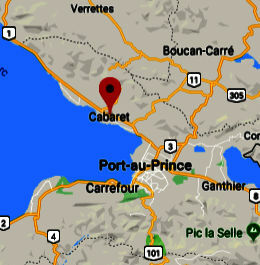 She was born in Port au Prince, the capital of Haiti, and raised in the town of Cabaret about two hours north. 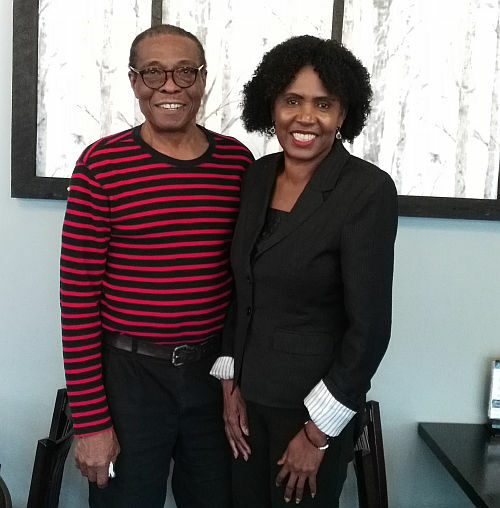 At the age of nineteen she left Haiti and chose to settle in Montreal, Québec, where she could better leverage her French language skills and familiarity with the culture. After getting married, Camille and Sam and their family moved west to Ontario, settling in a bedroom community small town outside of Toronto. 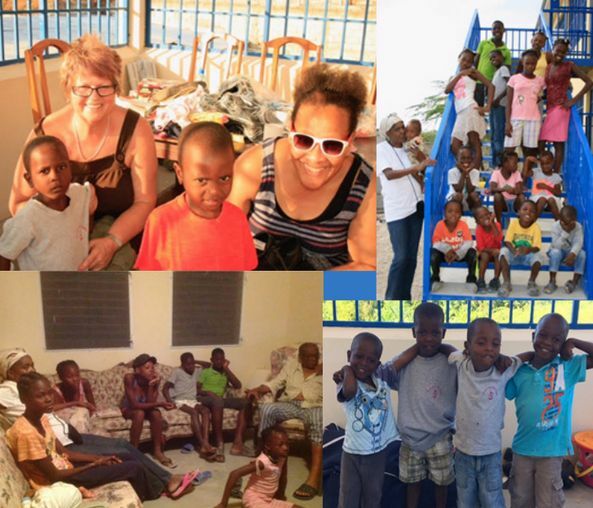 In 2004, a group of teenagers from her church were headed to Haiti on a short term missions trip, and Camille volunteered to be a chaperone and give something back to her country of birth. She went to connect with her old friends in her hometown of Cabaret but was quite distressed by what she saw. It was not the same place; not the village she had left many years ago. Instead, she was witnessing homeless children begging in the streets, desperate and malnourished. A few years in, with the lease running out, Welcome Home began looking for another property which would offer the possibility of greater expansion. They had about ten children but dreamed of being able to house up to seventy. They called Engineering Ministries International (EMI) for help designing a new orphanage on recently acquired land. This is where the story first connects with our family. Our son Chris had graduated in Engineering and it would be several months before he would find his first job, so with a little bit of fundraising he signed up to do an internship with EMI in Calgary for four months. (The organization has about ten offices around the world.) 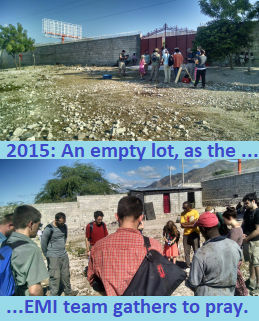 As it turned out, one of their two projects for those months was the Welcome Home Children’s Centre and in February of 2015 he flew with a team of a dozen people from Canada to survey the land and help design the three phases of the new centre. He was one of only two people on the EMI team who spoke French with any proficiency and did his best to learn Haitian Creole. A big part of their education is learning the French language, which in Haiti is the sole language of business and politics. The vast majority of Haitians can only speak Creole, which makes it easy for the elite to exclude them from anything involving influence or serious money. 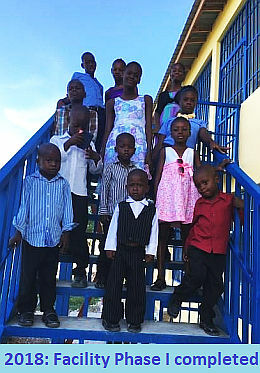 The Welcome Home kids will have access to the upper strata of Haitian society because of their education, and it is my hope that they will hold onto their Christian values, continuing to acknowledge God in all their ways while wielding the privilege of education, and be a blessing to their neighbours and communities in adulthood. Which brings us back to a few days ago, when we got to meet Sam and Camille. I don’t like to show up for meetings unprepared so I decided to do some research. In Canada, the annual financial statements — think of it as an organization’s income tax return — of churches and non-profits are posted online for the world to see. I couldn’t help but note that the line item for compensation (i.e. salaries and benefits) for WHCC was nil. Zero. Nada. That was refreshing. Camille shared a story with us about a woman who had been giving to what I call a “blue chip” Christian charity and how appalled she was at the amount of compensation being received by its key personnel and staff. The woman then stumbled onto the same information I did, with the realization that this was the type of grassroots charity she wanted to support. Part of this is possible because Sam and Camille have decent jobs in Canada. But if Camille isn’t there in person, she’s very much present, admitting to calling the orphanage for an update every single day. 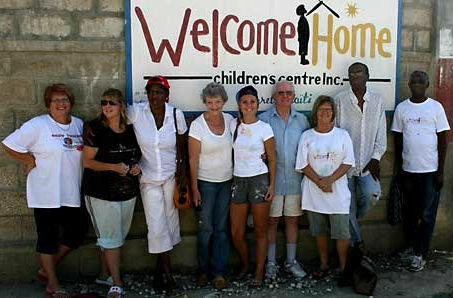 The Welcome Home team conducted numerous interviews to be sure that the children they received actually were orphans. In some cases parents will see an opportunity for their child to have a better life and are willing to let their child go. This is a heartbreaking scenario that the team have seen played out over and over. To turn them away is difficult, but their commitment is to help the most needy orphans; children who have no other options. Right now, WHCC cannot issue tax receipts in the U.S. (I know there are U.S. readers here for which a receipt is not the bottom line.) For a grassroots charity, operating in Canada, with a very limited donor base to raise $500,000 is a daunting task, but in Christ, nothing is impossible. You can help plant the seeds for Phase II at this link. I want to live in a world where everyone loves the place where they were born, where we don’t have people clamoring to get across borders because the country they were born in just isn’t livable. And I want to live in a world of rest and gratitude, not one of strife and pride. I believe the theory is true that the developing world will keep improving itself economically until the imbalance that has characterized the last three centuries levels out a bit, but we can help speed up the process. We’re back with another year of giving our online friends in Canada an opportunity to make a difference in the lives of people in need. The program is called iKettle. Any of my Canadian readers can host a kettle with a few clicks of the mouse. Fellow-Canadian blogger Rick Apperson got us on to this last year. 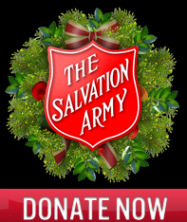 Back then, we decided that if we could raise nearly $4,600 to sponsor my oldest son’s summer working at Camp Iawah, using our mailing list alone, we ought to be able to raise at least $1,000 for the Salvation Army. We found out quickly that it was going to be a greater challenge. Not sure why. Last year we launched this through an e-blast to people in our personal and business e-mail address books. This year we’re launching it in the blogosphere. So here’s where you go to contribute*. I really hope you’ll help us launch this over this weekend. We will be repeating this appeal on the blog several times during the next few weeks. Our giving can meet the needs both in overseas relief and development and in the cities and towns closer to home. This is an opportunity to do something on the domestic front in yet another year that’s been rough on many people. *For my U.S. readers — and there are lots of you — I couldn’t find a direct link to the U.S. program, if there is one. Contact the SA in your local area to find out ways an online donation can serve your own community. It had to happen sooner or later. The contribution kettles manned by volunteers in our communities — some still with audible ringing sleigh bells, but most silenced by city ordinances and mall requests — have gone online. The program is called iKettle. Any of my Canadian readers can host a kettle with a few clicks of the mouse. I found out about this from fellow-Canadian blogger Rick Apperson, and after mulling it over for several weeks, decided that if we could raise nearly $4,600 to sponsor my oldest son’s summer working at Camp Iawah, using our mailing list alone, we ought to be able to raise at least that much for the Salvation Army. After a disastrous start where I actually gave the wrong e-mail address, my kettle was off and running. I set the goal modestly at $1,000 figuring we would surpass that by the end of the weekend. Within a half hour of the e-mails going out, the total started increasing, and then it came to a sudden halt. Which is where my Canadian* blog readers kick in. You can’t toss spare change in the kettles anymore because you pay for everything with plastic cards, and you don’t get change. Any bills in your wallet are probably there for emergencies. Besides, this year, with so many unemployed or underemployed, the SA needs significant contributions to meet the needs in local areas. BTW, for what’s worth, I don’t like the whole “sponsor me” script on the webpage. You’re not sponsoring us at all. Some web designer got that one past them before it could be thought through more carefully. How about, “Make a Difference;” or even “Contribute”? Then there’s the liability with the button that allows you to read the text I wrote. I ended with “Please give generously.” But the more/less button after the paragraph means your brain sees, “Please give generously less.” Not good planning, but it’s their first year doing this. *For my U.S. readers — and there are lots of you — I couldn’t find a direct link to the U.S. program, and their regional websites are a bit of a dog’s breakfast; but it’s probably better for you to contact the SA in your local area to find out ways an online donation can serve your own community. This Christmas our giving can meet the needs both in overseas relief and development and in the cities and towns closer to home. This is an opportunity to do something on the domestic front in a year that’s been rough on many people.